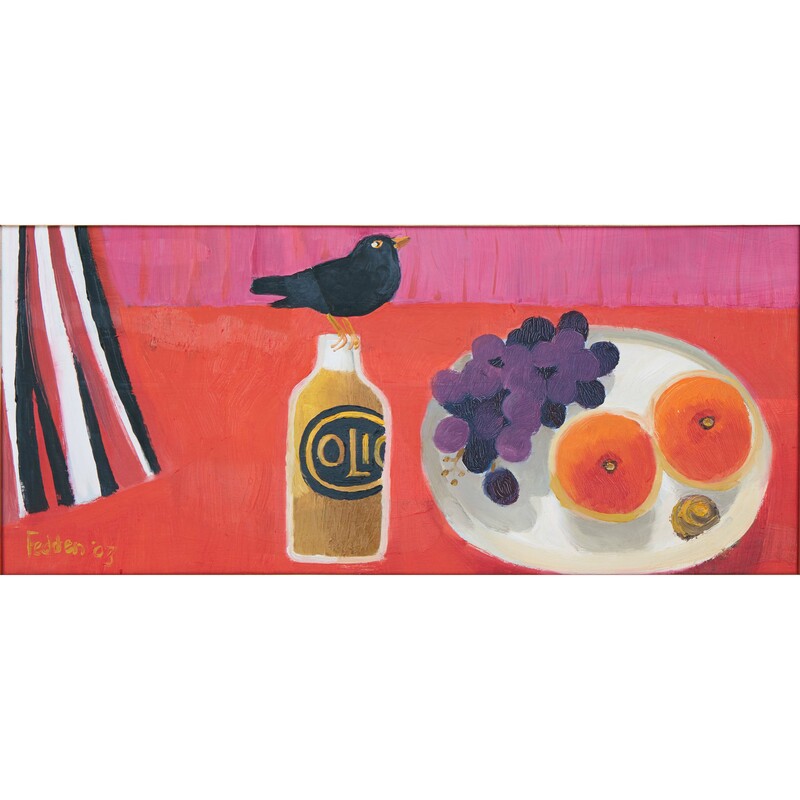 Birds are a common theme in Mary Fedden’s paintings, they feature over and again, whether incidental (as in “Blackbird”) or as the main focal point of the work. 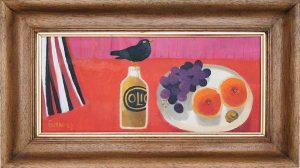 This work, Blackbird, made in oils in 2003, combines Mary Fedden’s love of a bright and vibrant still life, with the recurring themes of fruit and birds, in this case a male blackbird. MARY FEDDEN. BLACKBIRD. Available for sale – please contact us for further details.